Eglise Sainte Catherine (St. Catherine Church) in festive holiday wear as Brussel's Christmas Market sits across from it. During this time of year, almost all around Europe you will find some type of market or festival to celebrate Christmas, and where you will experience a sensory overload with all the aromas that gently breeze by you. I find myself unable to decide what I want to try, I always want to select the best piece of food their is, as to not miss out on an enjoyable experience. 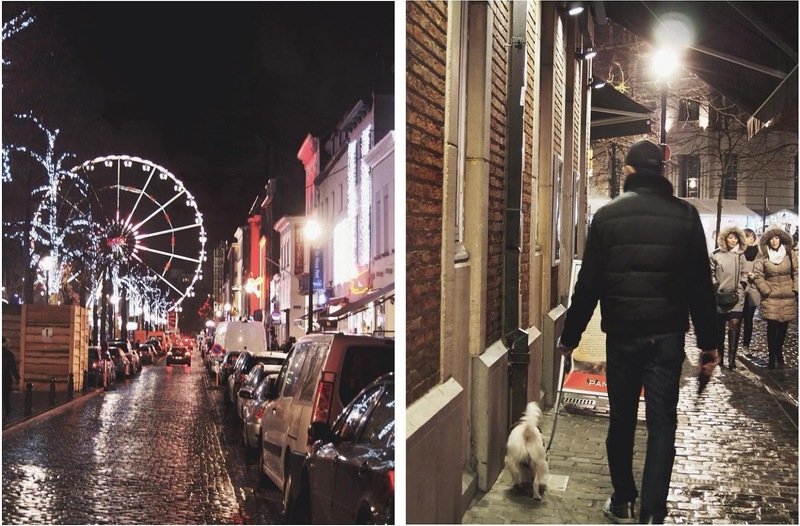 Each city in Europe provides its own unique flavors, but almost all have the same feeling of excitement. 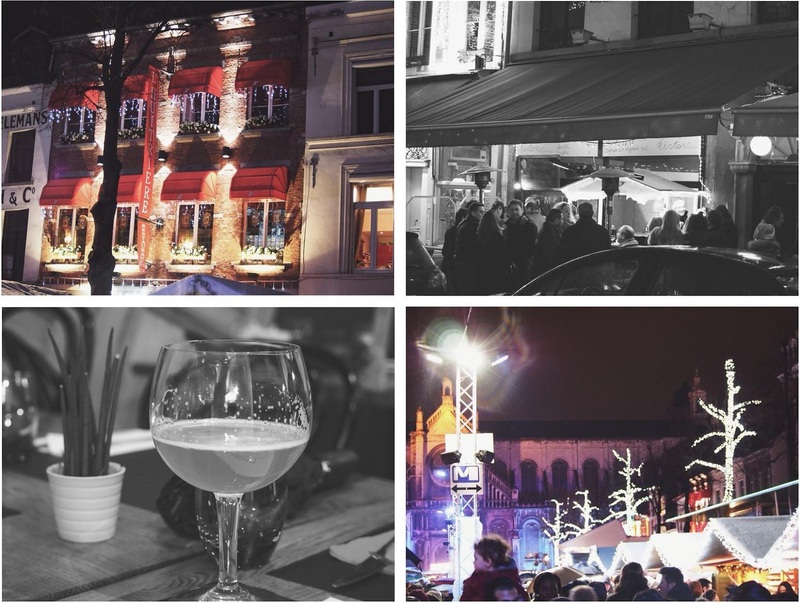 People also gather in local eateries as they themselves provide a enticing menu, most notably, in Brussels, as the culinary experience here is superb, with several Michelin Star restaurants and other up to par establishments, it makes for quite an adventure for those who have a foodie heart. I, myself was highly looking forward to coming to this charming city, solely for the purpose of eating, drinking their delicious beer and chocolate hunting and eating as well. I did just that. Grand Place is Brussel's center square, where guildwalls are ostentatious and towers are impressive. 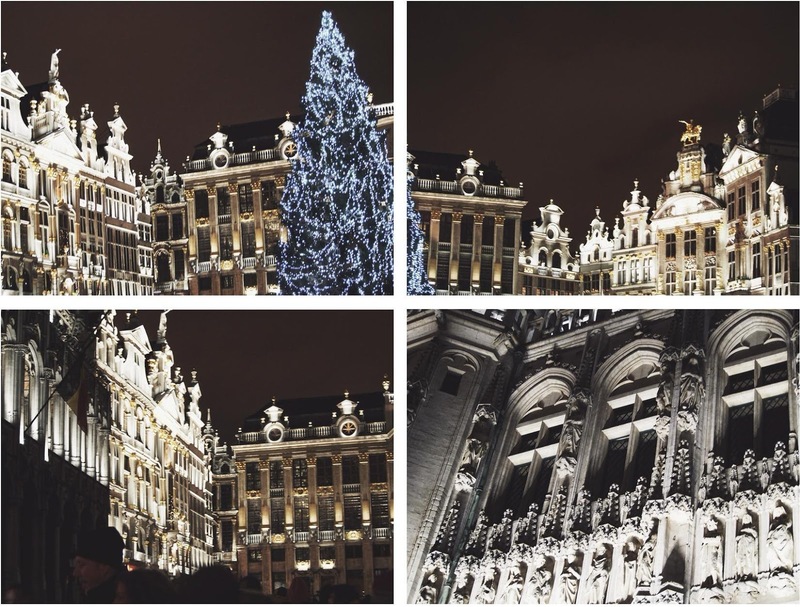 There are two large towers that lay on the square, the city's Town Hall which is what you see below and was completed in 1420 and the Breadhouse building which contains the Museum of the city of Brussels, and opened it's doors in 1887. Grand Place is the most visited area in Brussels, in part for it's magnificent buildings but most importantly for its historical significant as it's a UNESCO World Heritage Site. See more CHIC Travel stories here, here x here.